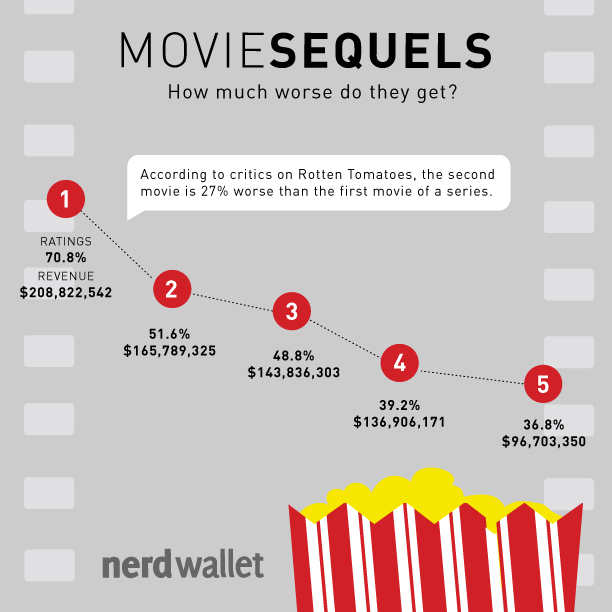 Based on a statistical study of some of the movies since 1960s, sequels do become worse in terms of revenue and critical response. It is very much summarized in the following infographic courtesy of Nerd Wallet. If you think that Pirates of the Caribbean: On Stranger Tides was bad, it was expected so based on this study. The movie received from critics a rating of "F" and if we are to use the calculations used in the study, the next film in the series will be much worse. In numerical figures, it’ll earn a 31% rating – 61% worse than the original. You can read more about this study on this article at Nerd Wallet.